Since we (me, Balls, and Sunshine) took an unexpected day off due to inclement weather yesterday, we decided to make the most of today. We started hiking at 3am so we could make it to Red’s Meadow by 8am. We had 10mi of hiking to do and our elevation dropped below 8000ft for the first time in a long time. We were excited to get out of snow as we dropped! Again, seems simple, but not this year. The morning was COLD and windy, but we were happy to be dry…other than our feet. It was an unenjoyable hike for all three of us. The past three days wore us down pretty well and I still couldn’t feel my feet. My shoes and socks were soaked cause I accidentally left them out in the storm the night before. I just wanted to get to Red’s and warm my feet! The trail was snowy and icy most of the way with plenty of water to walk through to make sure our feet stayed extra numb. I even slipped on a slope with my microspikes on and as my arm flew up in the air on the way down, I managed to somehow cut my wrist pretty good with my ice axe. Sunshine was behind me and was quick to make the observation that the fall looked like it hurt. Yes, it definitely did! We finally made it to Red’s Meadow and I got phone and Internet reception. I was in heaven! Balls and Sunshine needed to go to town for the day to get a package and some gear, so I decided to hang at Red’s Meadow for the day. I never planned on stopping here, but with all the horror stories about what lies north of Tuolomne Meadows, I’m in no hurry to go anywhere. Here’s where I spent most of the day. Awe-some! I just lounged on the grass, did my journaling, emailing, and watched my shows on Hulu. Red’s just opened this week and is sort of a home base spot for tourists seeing the sights near here. There is a bus stop right out front and it was great to watch all the families come and go. I also got to watch hikers who came in or went back to the trail. Coming in was Twiggy, Spock, Dutch, Pounder, and Chili. Going out was Hobbes, Top Shelf, Blister, Pine, and Jams. Food was expensive, so I allowed myself a warm breakfast, an ice cream cookie for lunch, and then just got a Mountain House meal for dinner. Balls and Sunshine showed up as I finished dinner and also brought me a McChicken. I added some choc ice cream for dessert. Pretty much a great day for me! 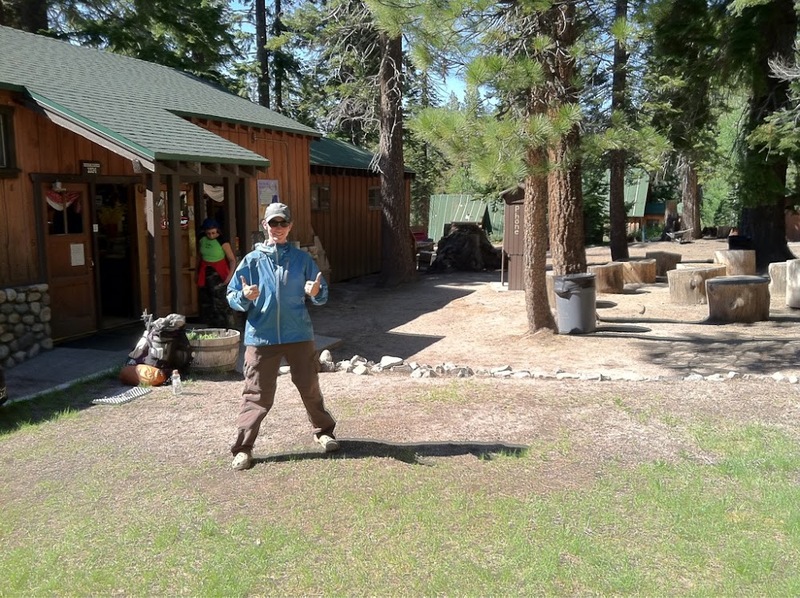 We decided to camp at the Red’s Meadow campground. 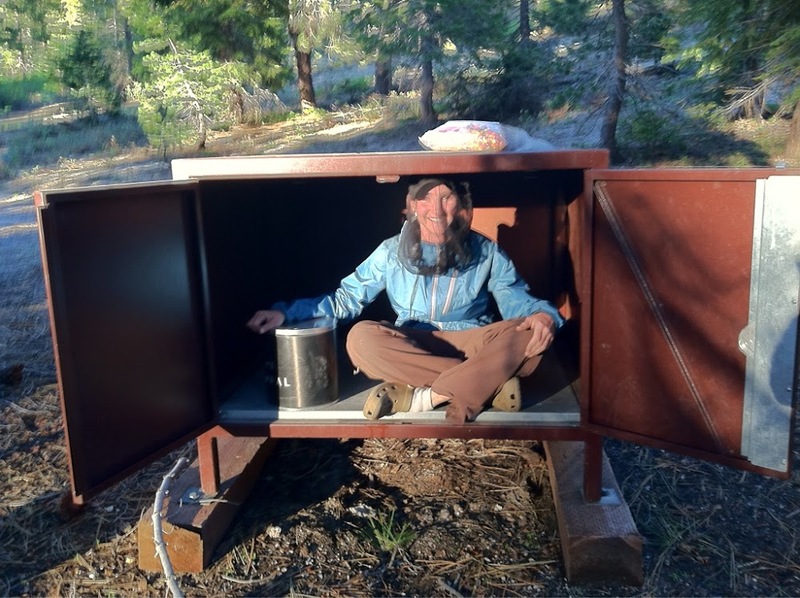 It was my first time staying at a campground with a bear box…and mosquitoes. 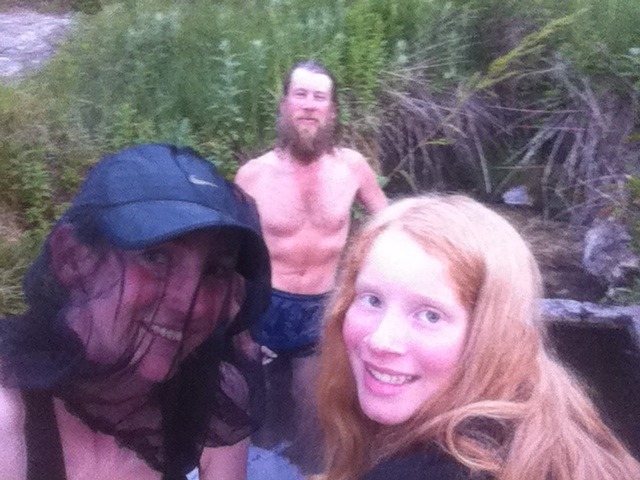 There was even a hot springs tub right next to the campground…with mosquitoes. A world away from this morning when I couldn’t feel my feet! We begin our three day hike toward Tuolomne Meadows tomorrow.